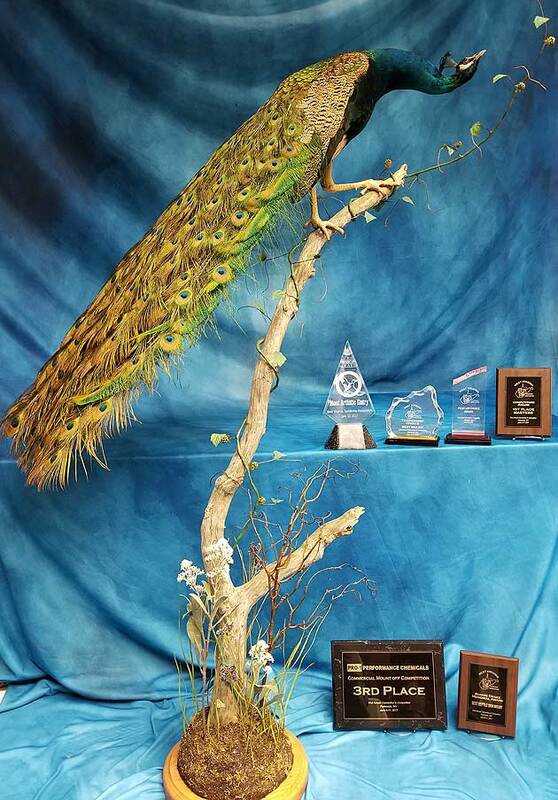 The 2017 convention season has come to a close, and for the 25th consecutive year, the judges have chosen the WASCO Award winners. I think that the most compelling part of each competition is when all of the judges get together collectively pick what they feel is the most artistic entry in the entire show. I have been in on many of these lively discussions and the judges always make it a point to give a great deal of thought and consideration to fairly choose the entry they feel is most deserving of this prestigious award. 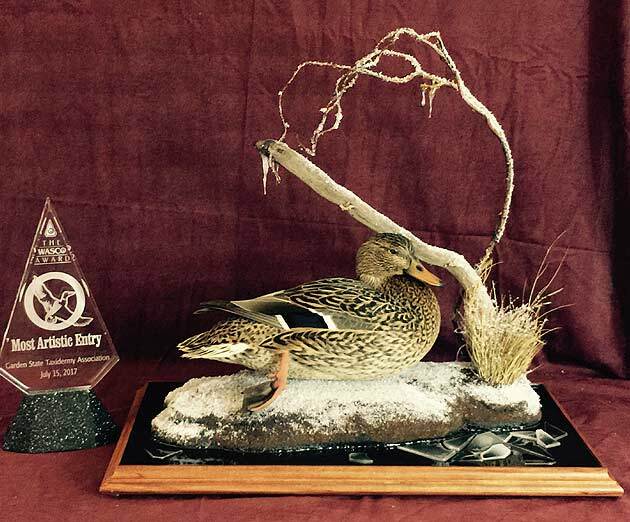 The WASCO Most Artistic Entry Award is presented to the most artistic piece in a taxidermy competition. The winner is chosen collectively by all of the judges from the entire competition. 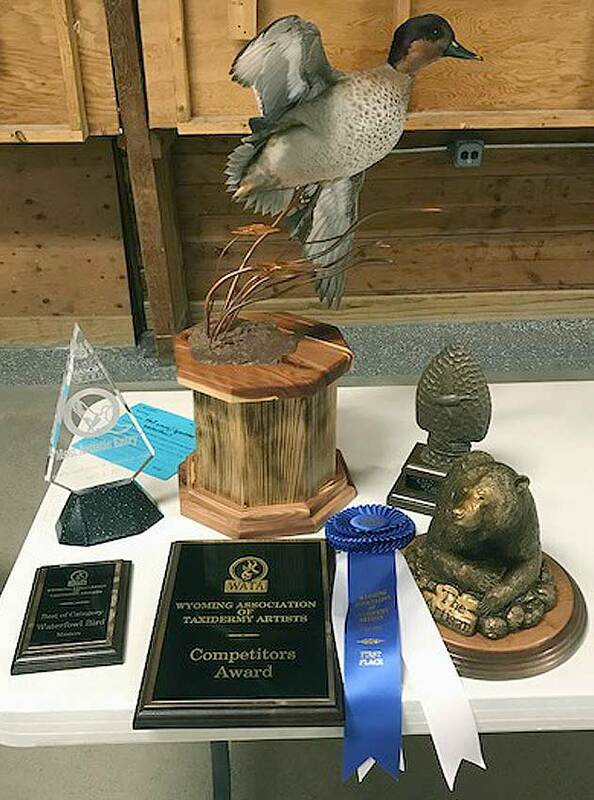 WASCO Award winners receive a polished acrylic award and a gift certificate from WASCO (Wildlife Artist Supply Company). 1. 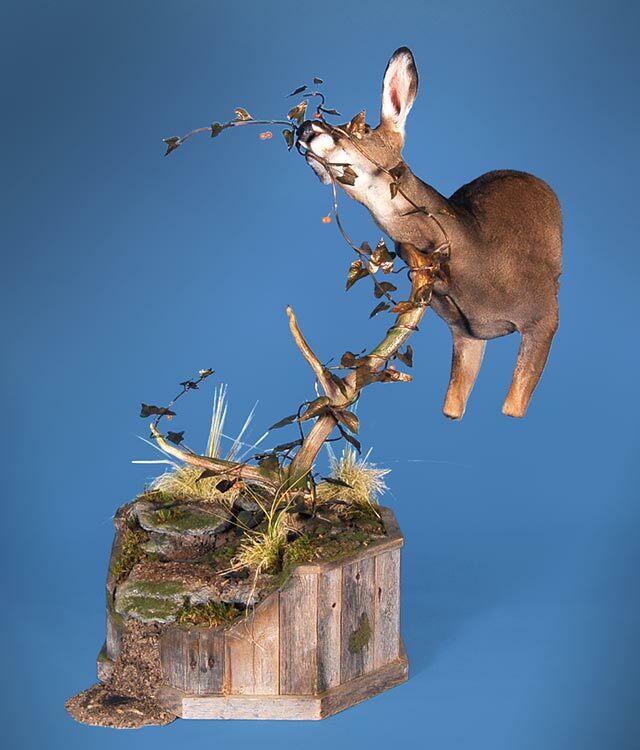 Exhibition of Taxidermy. The entry should tastefully display both the subject as well as the taxidermy profession in a favorable light. 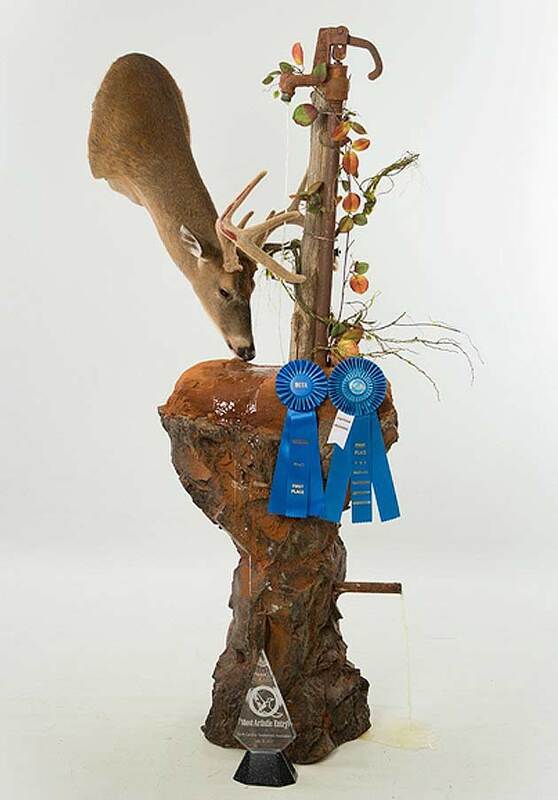 The taxidermy should be of good competition caliber, without any obvious flaws to the casual observer. The close scrutiny of a judge’s flashlight should not be as important as the overall impression of the piece from a normal viewing distance. The main requirement is that the animal portrayed looks “alive” to the viewer. 2. Creativity. Artists who try something new or difficult should be rewarded for their efforts. The concept of the piece should not copy previous winner’s ideas. Original ideas, successfully executed, should be given high consideration for this award. 3. Artistic Merit. 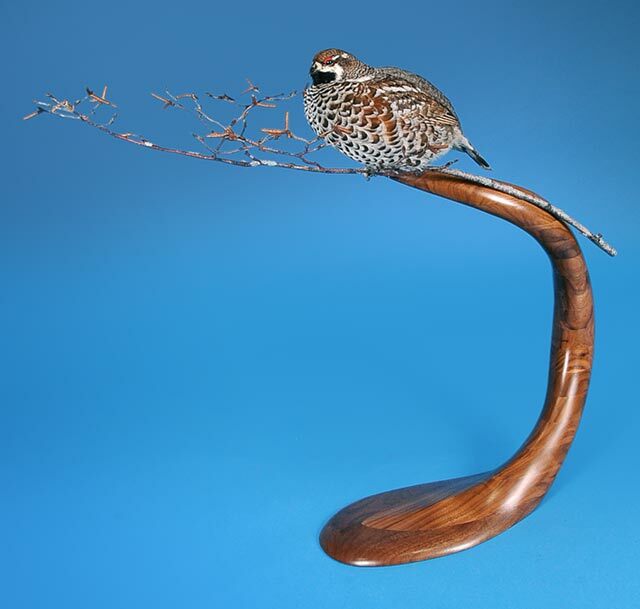 The entry should be judged as a three-dimensional art piece, just like a painting or fine sculpture. Basic art concepts, such as composition, color, dynamic impact, contrast, texture, negative and positive space, and general artistic appeal should be carefully considered. 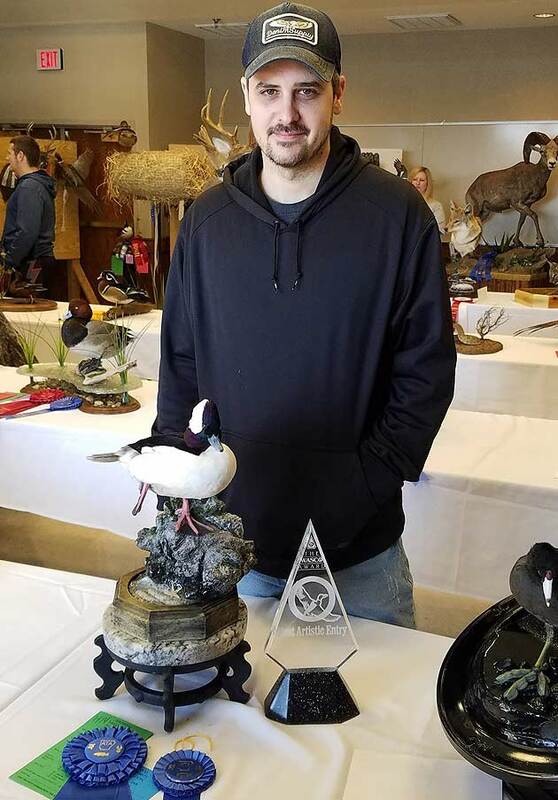 I am so pleased that McKenzie has continued to support the WASCO Award, which for the past 25 years has honored taxidermists who took risks and inspired us with their creativity. 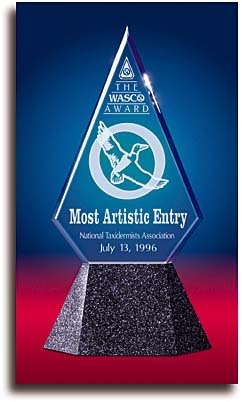 To read about the history of the WASCO Award and how it came into being in 1993, check out this blog entry: The Birth of the WASCO Award. 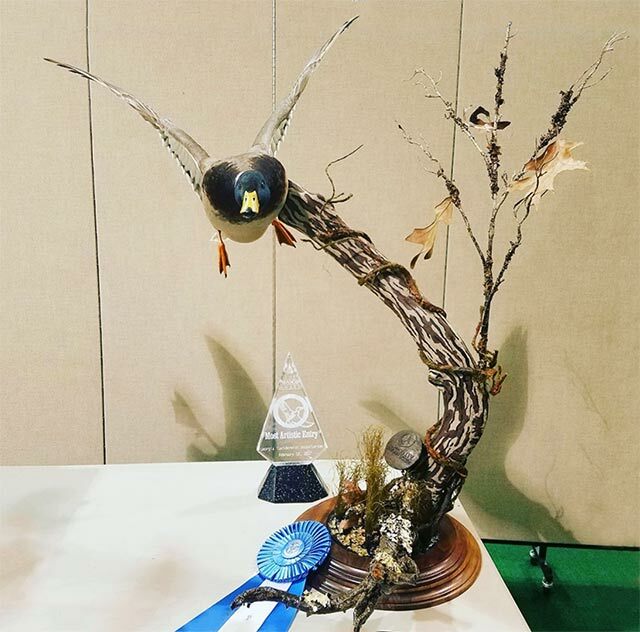 Our congratulations go out to the talented 2017 winners of the WASCO Award for the Most Artistic Entry, which are listed below. 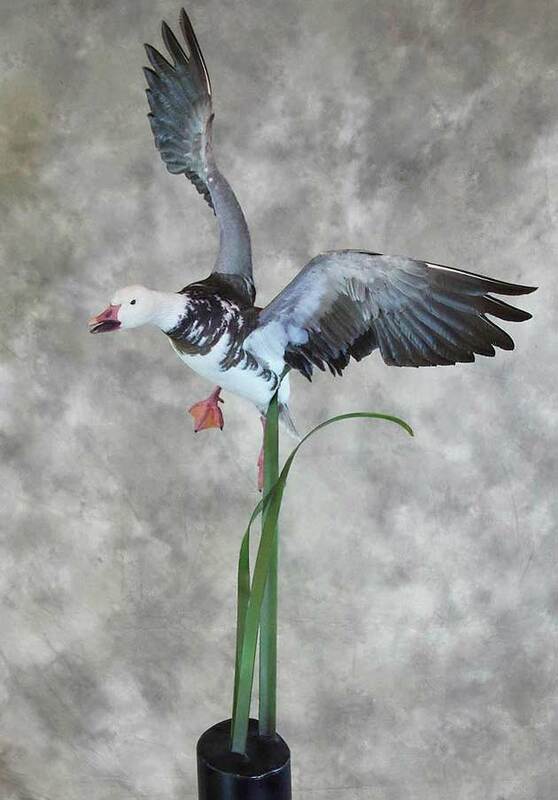 Mallard Drake by Steven Reynolds. 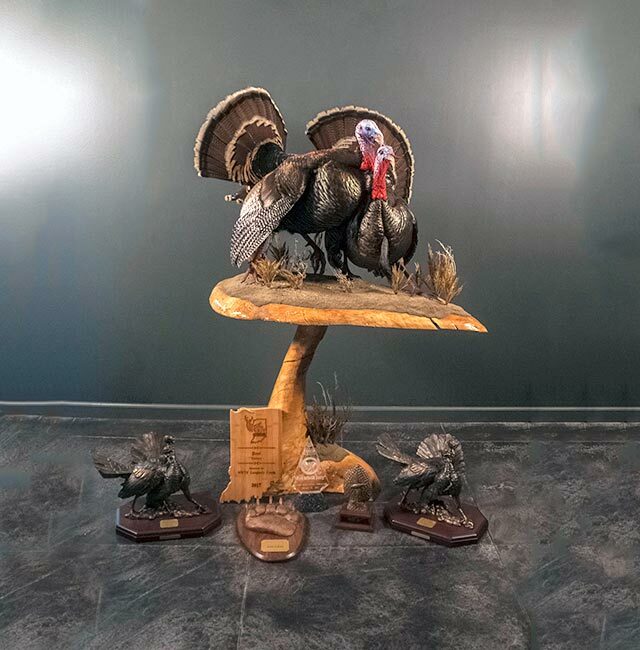 Wild Turkey by Josh Lengacher. 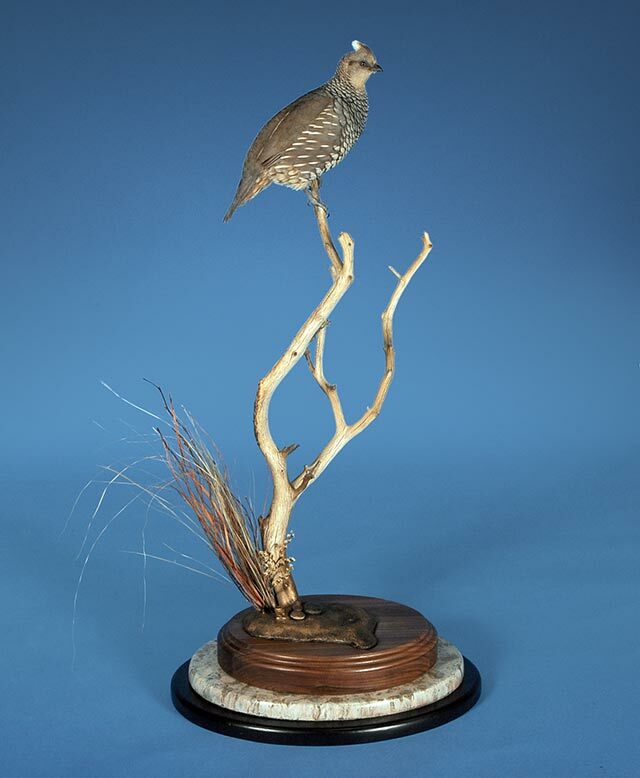 Hazel Grouse by Mike Orthober. 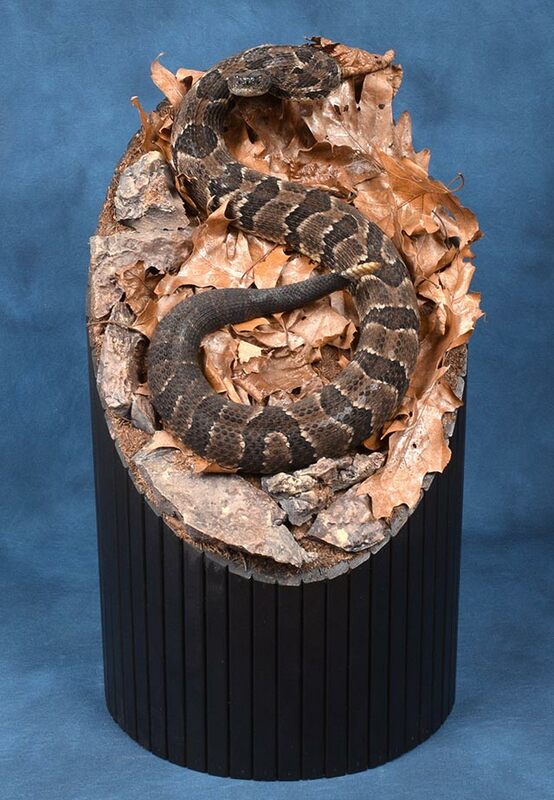 Timber Rattlesnake by Jason Krause. 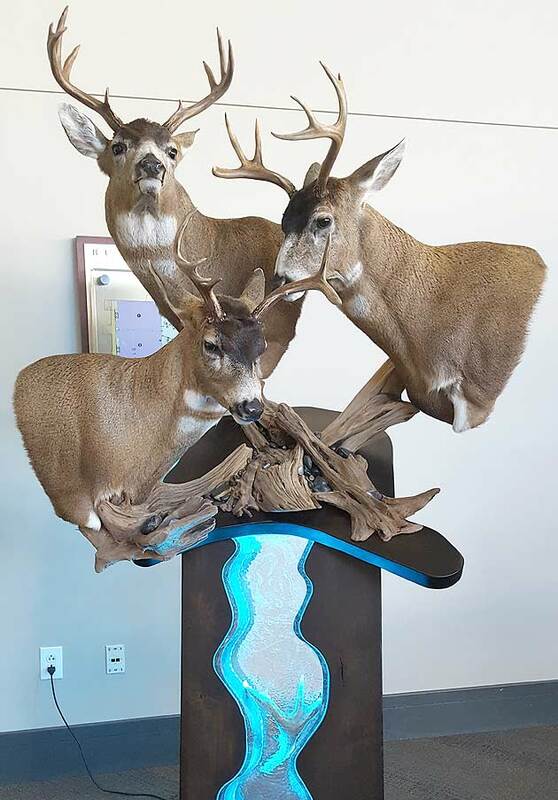 Blacktail Deer by Ryan Cook. 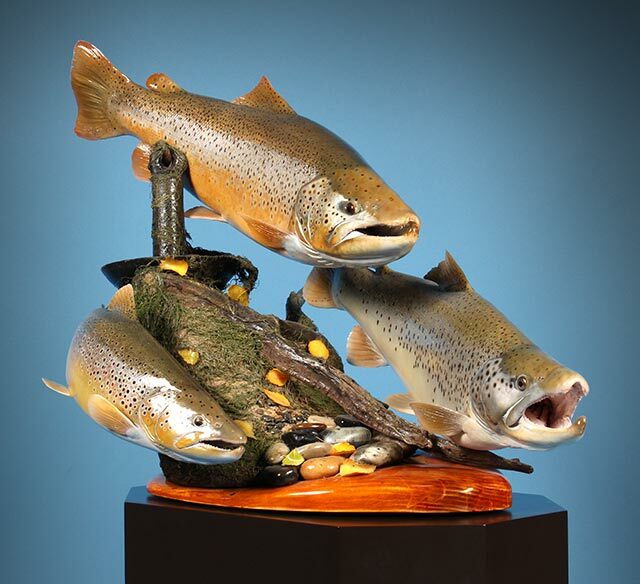 Brown Trout by Terry Weick. 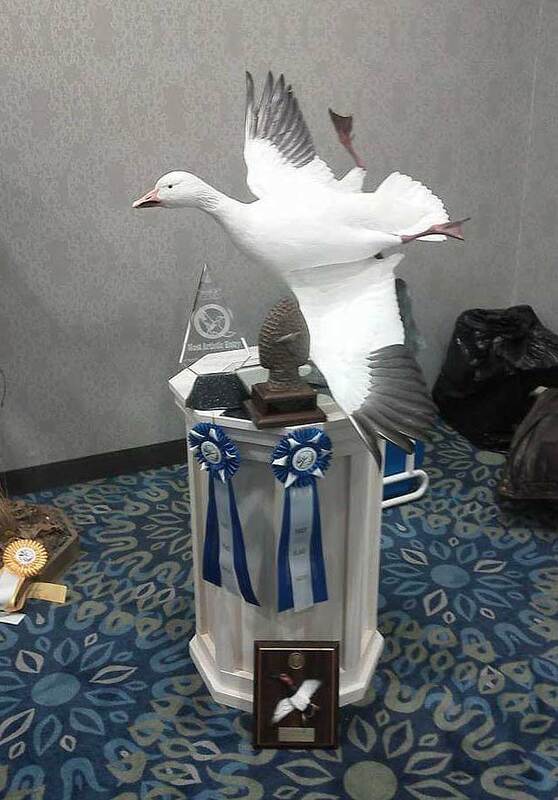 Snow Goose by Shawn Powell. 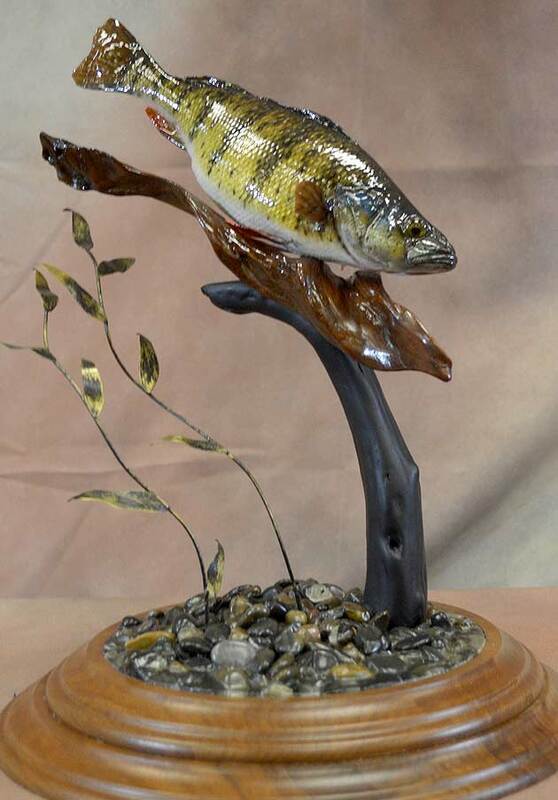 Yellow Perch by Ben LeNoble. 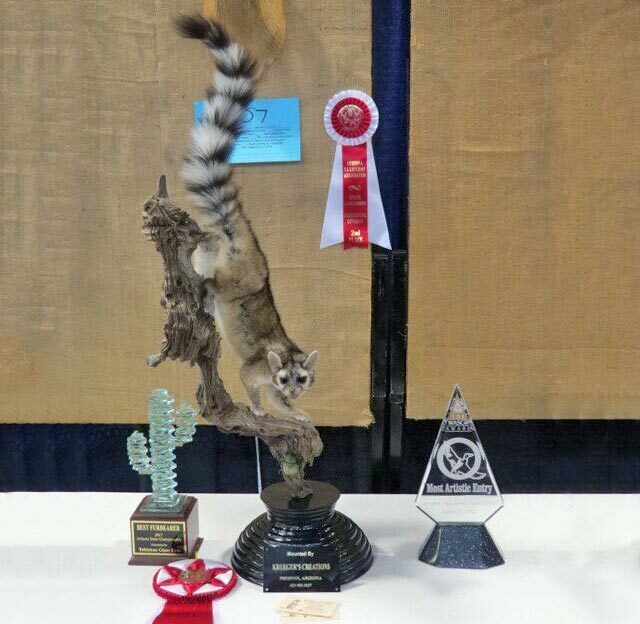 Ringtail Cat by Chris Krueger. Whitetail Deer by Kurt Ainsworth. 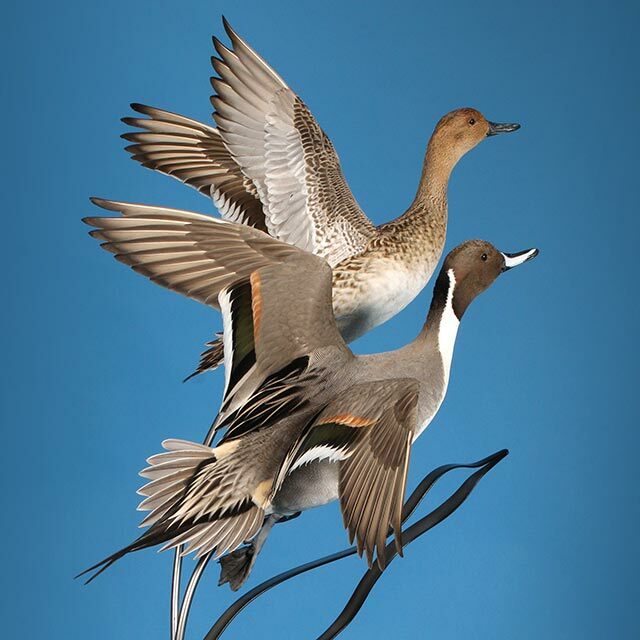 Green Wing Teal by Tim Cooley. 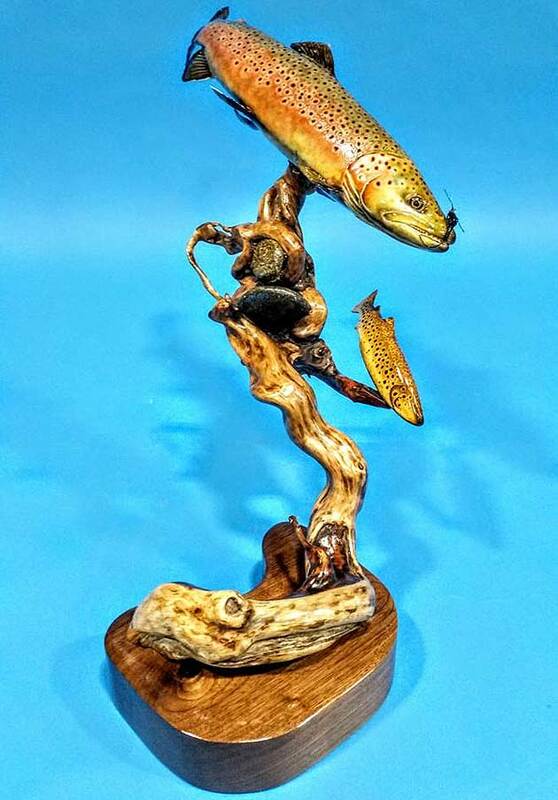 Brown Trout by Rich White. 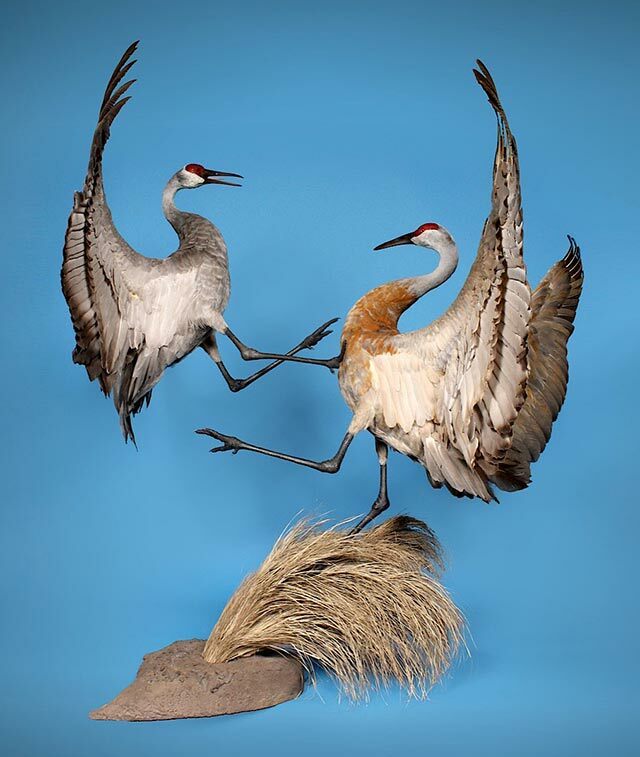 Fighting Sandhill Cranes by Jay Parke. Scaled Quail by Sam Cahoy. Hen Mallard by Scott Ferguson. 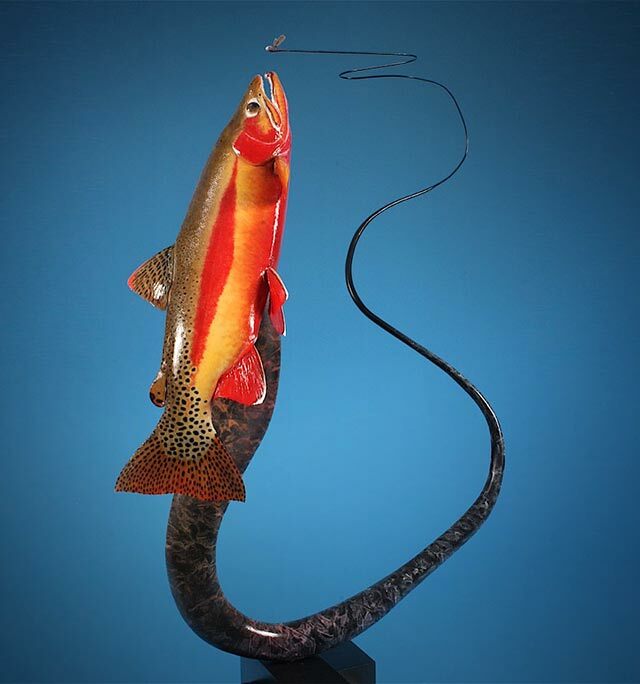 Golden Trout by Jeff Mourning. 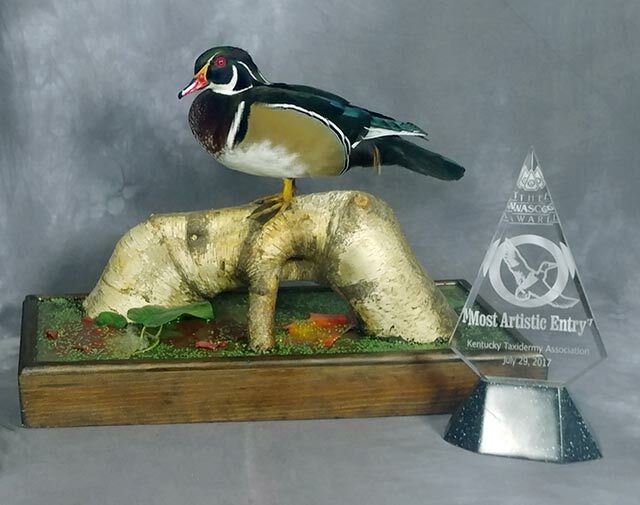 Wood Duck by Dave Tuttle. Whitetail Deer by Jake Rouse. Blue Goose by Carmen Helmer. 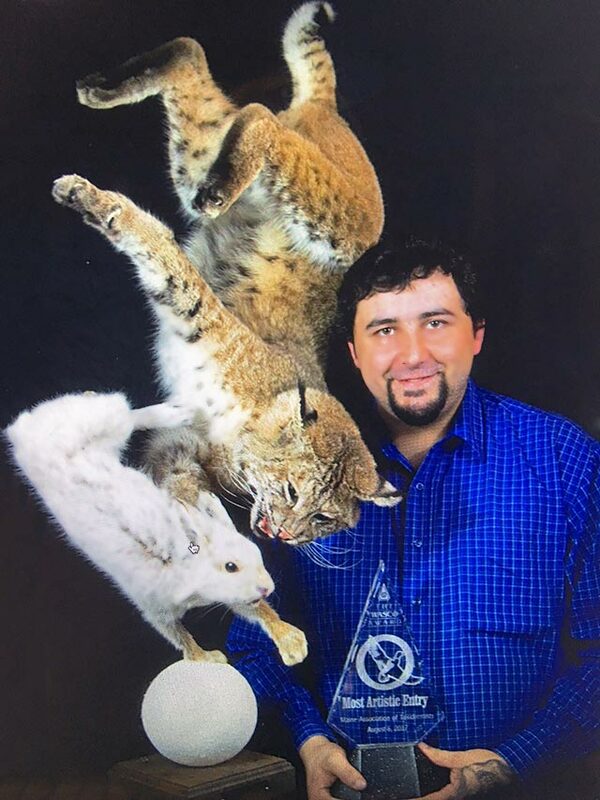 Bobcat and Snowshoe Hare by Alex Harrington. If you wish to add missing photos to this list, or correct any errors or omissions, please email [email protected] and I will be happy to update the page.